Singapore's tourism sector showed some signs of life in the months of May and June but still not enough to push half year performance up. Data from Singapore Tourism Board show that for Q2 2015, tourism receipts (TR) fell 9 per cent year-on-year to S$5.2 billion, while international visitor arrivals (IVA) dipped 1 per cent to 3.6 million over the same period in 2014. Excluding expenditure on Sightseeing, Entertainment & Gaming (SEG), Indonesia (S$554 million), China (S$539 million) and India (S$330 million) were the top three Tourism Receipts (TR) generating markets in Q2 2015, and made up 37 per cent of TR excluding SEG. Among the top 10 TR markets, Indonesia (-24%), Malaysia (-23%) and Australia (-15%) registered the highest year-on year declines in TR (excluding SEG) compared with the same period last year. Philippines and Japan overtook Malaysia, and ranked fifth and sixth in Q2 2015 TR contribution respectively. Tourism Receipts (TR) for January to June 2015 were estimated at S$10.5 billion, a 12 per cent decline year-on-year. However, year-on-year decline in TR slowed in Q2 2015 (-9%) as compared to Q1 2015 (-14%). Accommodation expenditure recorded the largest year-on-year decrease (-19%), followed by Sightseeing, Entertainment & Gaming (-13%). 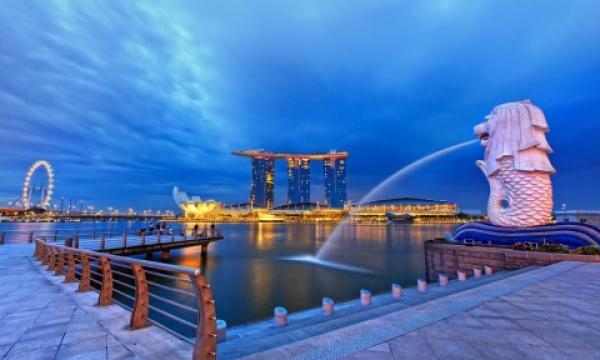 Excluding Sightseeing, Entertainment & Gaming (SEG expenditure, China (S$1.21 billion), Indonesia (S$1.10 billion) and India (S$539 million) were Singapore’s top three TR-generating markets for January to June 2015, accounting for 36 per cent of the overall TR excluding SEG. Of the top ten markets, Japan recorded the only growth in TR (excluding SEG) at 5 per cent year-on-year. Malaysia (-29%) and Indonesia (-28%) registered the largest year-on-year declines in TR (excluding SEG). Singapore’s international visitor arrivals (IVA) in the first half of the year stood at 7.3 million, a 3 per cent decline year-on-year. In Q2 2015, IVA was estimated at 3.6 million, representing a 1 percent decline vis-à-vis Q2 2014. Indonesia (1,316,000), China (949,000), Malaysia (561,000), India (520,000), and Australia (492,000) were Singapore’s top five international visitor-generating markets3 from January to June 2015. These markets accounted for 53 per cent of total IVA for the first six months of the year. China (+9%), Taiwan (+9%) and South Korea (+8%) registered the largest year-on-year growth while Indonesia (-14%), Hong Kong (-8%) and Australia (-7%) posted the largest year-on-year declines. Gazetted hotel room revenue for Q2 2015 came in at an estimated S$0.7 billion, representing a 1.2 per cent year-on-year decline. Average Room Rate (ARR4) declined 6.5 per cent to reach S$239 in Q2 2015. Average Occupancy Rate (AOR5) came in at 83 per cent in Q2 2015, a 0.7 percentage point dip compared with the same quarter last year. Revenue per Available Room (RevPAR6) slipped 7.3 per cent year-on-year to S$197 in Q2 2015 on the back of a weakened ARR. Gazetted hotel room revenue for January to June was estimated at S$1.5 billion, a 2.2 per cent decline compared with the same period last year. In the first half of the year, ARR fell 6.1 per cent to S$242, while AOR dipped 1.2 percentage points to 83 per cent. Declines in both AOR and ARR resulted in RevPAR falling by 7.5 per cent to S$202.